The story of the bluebird is one of North America’s most inspiring conservation success stories. During the 1960s and 70s bluebird populations were on the decline, in large part due to decreases in available nesting habitat. By this time, Al Larson had served in WWII, raised a family, worked for 30 years in a sawmill, suffered the loss of his first wife, and helped found Idaho’s first chapter of the Audubon Society. He was looking for a retirement project and a 1978 National Geographic article about bluebirds sparked a memory from his childhood. Just a few short months after reading the article, Al was in the Owyhee Mountains setting up his first bluebird nest boxes. 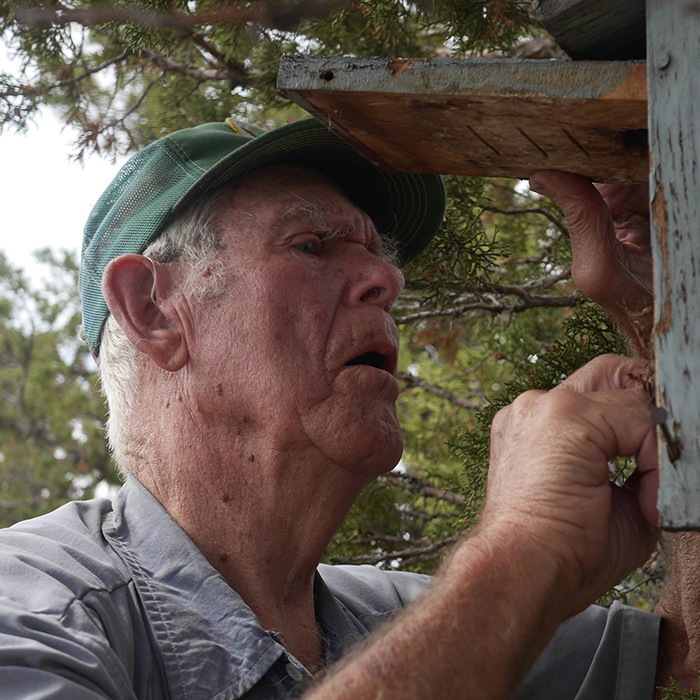 Al had set up one of Idaho’s first “Bluebird Trails,” a term used to describe any route consisting of a series of nest boxes designed specifically for bluebirds. In setting up this trail, Al became part of a continent-wide citizen science effort to recover one of North America’s most distinctive birds. 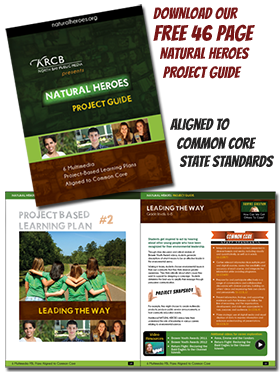 For Al however, this was more than an important conservation project, it was a deeply personal journey through the landscape of this childhood. Al has returned to the Owyhee Mountains to monitor and maintain his bluebird trail every spring for over 35 years. He knows every nest box like the back of his hand, and watches over every clutch of bluebird eggs as if they were his own. Al’s bluebird trail has given him a purpose and kept him healthy, but at 93 years of age he worries that he won’t be able to maintain his trail for much longer. This will be Al’s final challenge: to inspire the next generation to carry on his unique brand of environmental stewardship and continue the monitoring of his bluebird trail. Neil Paprocki (Director, Producer, Videographer) – Neil makes his directorial debut with “Bluebird Man.” Neil was born in Rochester, NY and received his bachelor’s degree in Animal Behavior from Bucknell University. Neil completed his Master’s degree in Raptor Biology in the summer of 2013 and continues to serve as the Scientific Director for Wild Lens. He lives in Boise, ID where he plans to continue helping Al monitor bluebird populations into the foreseeable future. Matthew Podolsky (Director, Producer, Videographer) – Matthew was born in Boston and went to school at Ithaca College, earning degrees in both Environmental Science and Cinema/Photography. “Scavenger Hunt,” Matthew’s first feature length film, focused on the recovery of the California condor and issue of lead poisoning in wildlife. 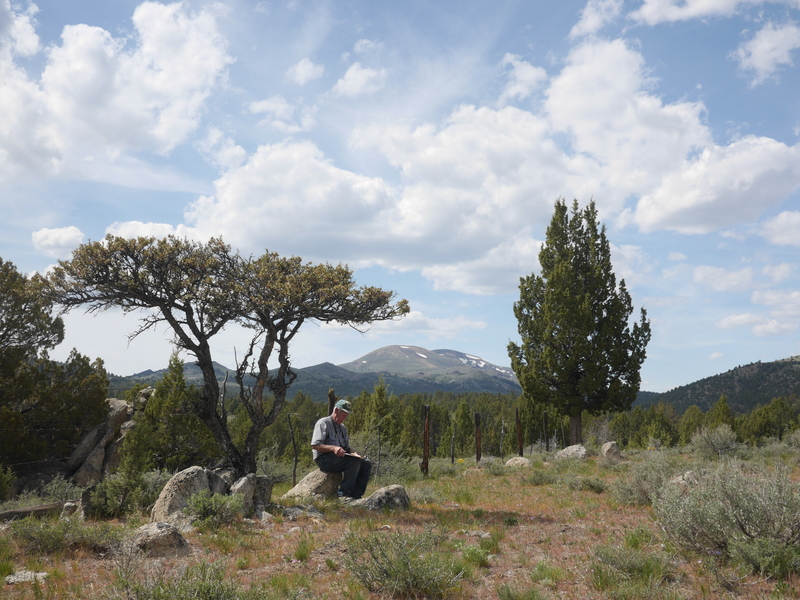 Matthew lives in Boise, ID where he serves as the President of Wild Lens, a non-profit organization committed to bringing wildlife biologists and filmmakers together to maximize environmental outreach through creative storytelling. At 93-years old, Al may be nearing the end of his life but he still manages to maintain a stunningly youthful energy about him, and he has maintained his excitement about bluebirds and bluebird conservation for over 35 years. Listening to him talk about finding someone to take over the monitoring of his bluebird trails got me thinking: perhaps a film about bluebirds and Al’s life could help facilitate this process. After talking with North American Bluebird Society president Sherry Linn, it came to my attention that there are many other bluebird enthusiasts around the country facing similar situations. The older generation that was instrumental in establishing bluebird trails and reversing the population declines of the 1960s and 1970s is looking to pass on this large-scale citizen science project to the next generation. It is my hope that “Bluebird Man” will help facilitate this process.